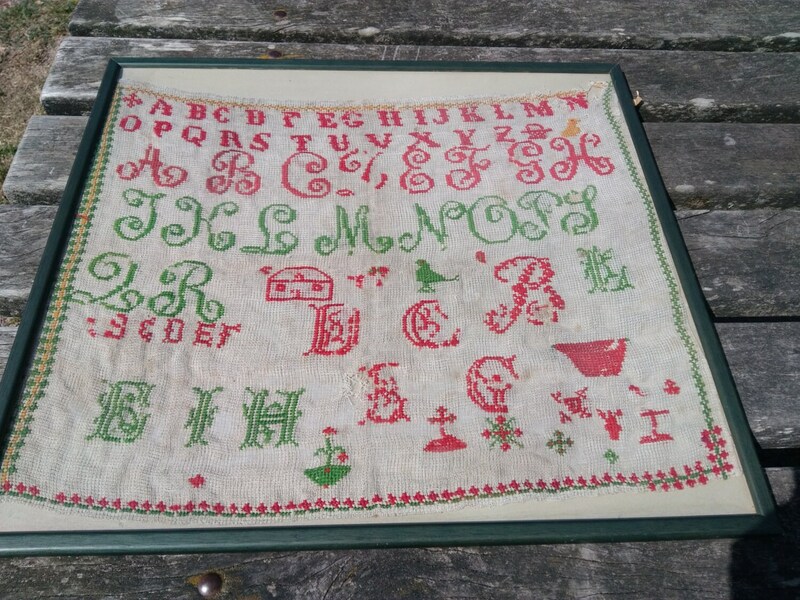 Large Victorian cotton tulle hand embroidered alphabet sampler monogrammed . 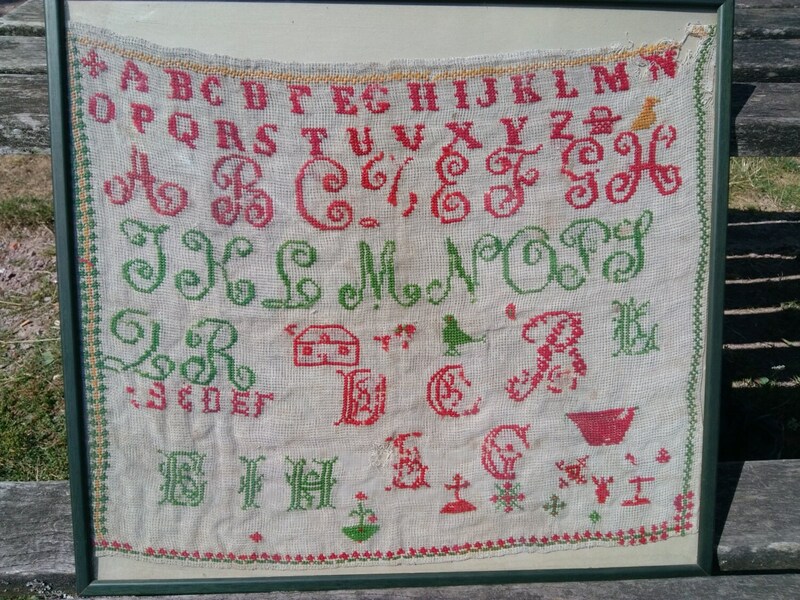 Off white tulle red and green hand embroidered. 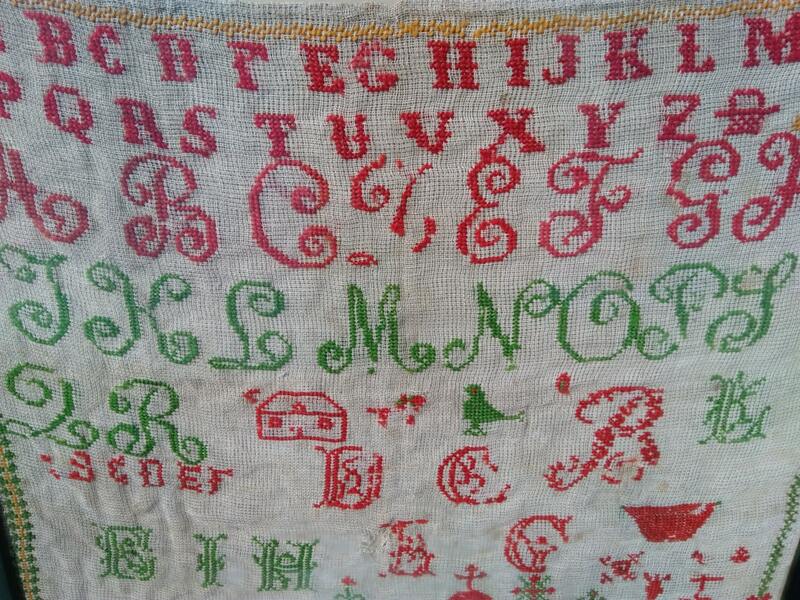 Very old 19 Th century French sampler , vintage condition . 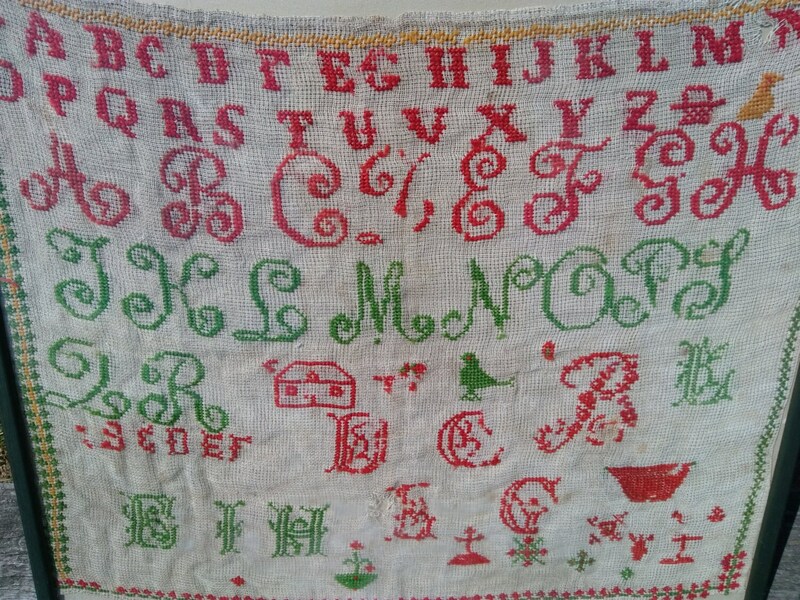 Beautiful antique French piece to keep as collectible.